Secret Lakes In The News! 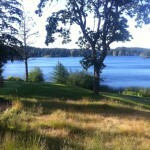 Oak Bay News ran an article on Secret Lakes of Southern Vancouver Island on Friday June 15th. An edited version was also in Victoria News. Thanks for the coverage! Download the article in PDF format. Get Your Tickets for the Book Launch!